During the late 1600s pirates were known to sail the waters off New England. 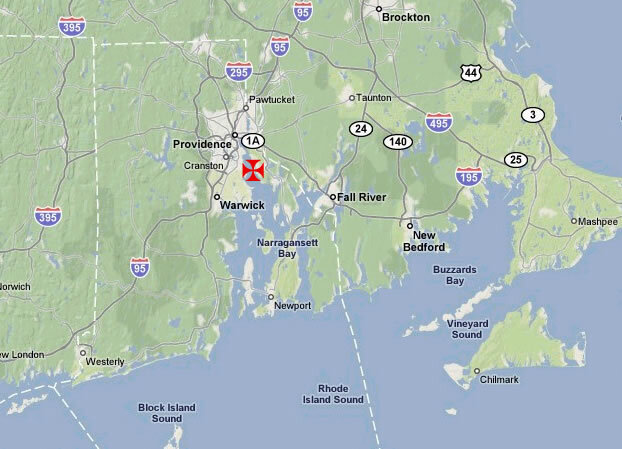 In fact Captain Kidd himself is rumored to have buried his treasure somewhere along the shores of Long Island Sound. It has never been found. 200 years later a new band of rogues plied their trade throughout New England, searching for their own share of treasure...and running for their lives. After the Olympics of 1908 and the Dorando Pietri - Johnny Hayes Marathon controversy, there was an intense interest in marathon running. The public loved the drama of the race and many events were organized including match races, indoor marathons and road races of assorted distances. Some races offered prizes, some offered money under the table, and many spectators would bet on the outcomes. A few runners made a career out of this new running circuit. "I really like this medal, it's old and is in excellent condition for being in the ground for who knows how long. My educated guess is the medal was deposited in the ground after the hurricane that hit New England on Sept. 21, 1938. From what I was told homes were demolished and brought out to sea (about 700 ft ) not to mention what wasn't destroyed inland. Now how the medal got there is another thing, did the owner/ winner of the race live where my brother did or close by? The only two people I have come up with thus far for being the winner is either Clarence H. DeMar or Henry Louis Scott." 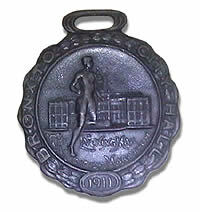 We can't identify all the details about the race this medal came from in 1911, but it does provide a few clues. The race was called the "Bronx to City Hall Modified Marathon" sponsored by the Evening Mail. The Evening Mail was a New York daily newspaper in 1911. The distance from the Bronx to City Hall in Manhattan is roughly 12 miles. Of course we don't know where the race started or what the course route was, but races that didn't go the full 26.2 miles were often refered to as "modified marathons" at the time. 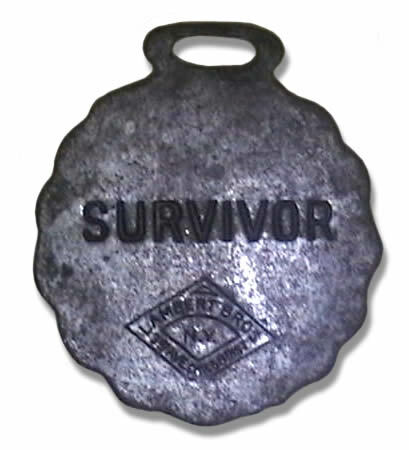 The back of the medal says "Survivor." This certainly played into the drama of marathons that the public loved, but this also indicates it wasn't necessarily an award to the winner. All finishers received one. It's great that this medal has survived almost 100 years and many thanks to Andrew LeBeau for sharing his find. If anyone has any additional information on this race we'd love to pass it on to Andrew, so send us an email. Thanks!